Talc, Mica, Nylon-12, Magnesium Stearate, Dimethicone, Hydrogenated Polyisobutene, Octyldodecyl, Stearoyl Stearate, Bis-Diglyceryl polyacyladipate-2, PhenoxyethanoI,Tocopheryl Acetate, Propylparaben, Methylparaben. May Contain (+/-) :Titanium Dioxide (Cl77891), Iron Oxides (Cl 77491,Cl77492,Cl77499). This sheer highlighting powder accentuates your best features with soft, ethereal radiance. 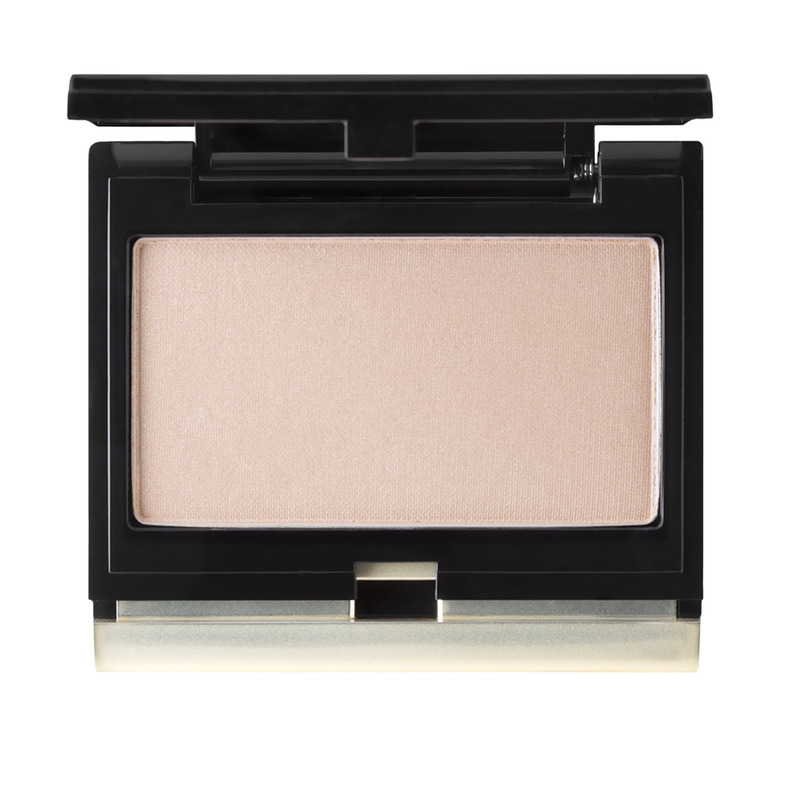 Kevyn Aucoin The Celestial Powder lifts and illuminates the areas of your face where light naturally falls so that skin appears to glow from within. The award-winning, cashmere-soft formula acts like a soft-focus lens for your skin, blurring fine lines, wrinkles, and blemishes for a flawless finish. Sweep all over your face as a luminous setting powder, or concentrate on the tops of cheeks, brow bones, cupid’s bow, and bridge of your nose to highlight. Can be used over foundation or bare skin. I'm not going to lie, I have always been a huge fan of Kevyn Aucoin and his work. He inspired me to become a Makeup Artist,so I always wondered if I was a bit biased in terms looking to love each and every one of his products because I admire him so....I own this entire line, and there are somethings that I like more than others; however, when it comes to The Celestial Powder, I can honestly say that I haven't used a highlight powder like this before. A good number of highlighting powders have a fairly significant shimmer to them that can be unnecessarily prominent. Proper highlighting powder does not need to have a disco ball gleam to it that ends up looking like an oil slick on the face if you aren't careful with it. The effect and the product should be soft and subtle, and that is exactly what this powder delivers. This powder has a sublimely soft glow to it that is hard to describe. 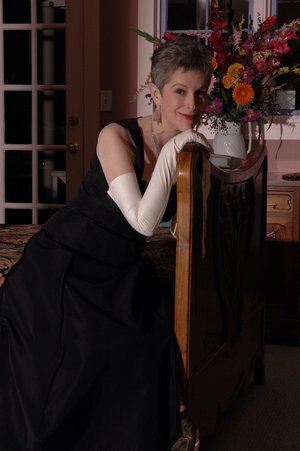 One can apply a very light layer or build it up for a more intense look, and it does not look heavy handed. Each layer imparts just the slightest additional layer of light to the face,and It's just breathtakingly beautiful. I don't think Kevyn needs his Celestial Powder in Heaven, and I am so glad that his body of work, and his makeup line lives on for us all so we can still have some small piece of him to inspire us all. I am a highlighter geek- i bought this a year ago, been using every day and still it looks full. It is more to the beige, cool tone. It is the smoothest powder highlighter possible. The closest dupe is The balm mary lou luminazer. They are almost dupes colour wise. The balm is more golden, the KA is more cool, beige tone. Mary lou is not so creamy but they both look almost equal. Kevyn is more for day look, it gives the inside glow nothing like shine or sparkles. Mix it with your bronzer and wholaaaa, beautiful summer glow. Lovely product! When I first came to the Beaytylish website, I noticed this one product was perpetually sold out and now after buying and using it I know why, it's sublimely beautiful! I think it can make even dull skin look full of stars but thankfully my skin isn't dull! I don't know what the magic fairly dust is that they press into a sweet little evening size compact, which you can surely take everywhere, but this might have been what Tinker Bell wanted Wendy to use to go after and catch Peter Pan. Had she worn this Peter might have stayed for as long as he had rather than fighting pirates! There are no pirates in this twinkling star struck compact! I don't leave the house without using this highlighter! I work very hard to use products that control my oiliness, and as a result have to work to correct the flatness that I create. After much research I purchased Celestial and I won't use another highlighter ever! I bought this product about a month ago, and I completely fell in love! I work in a cosmetic store and I rave about it to everyone who asks. It makes my skin look kissed by stars but not "sparkly". Its the perfect highlighter. I dust it using my fan around my eyes, t-zone and high cheek bones and it makes me look radiant. It is small, but a little goes a long way. I don't anticipate running out for quite some time. To say that I love Kevyn Aucoin is an understatement. I mean this is the dude that made me start wearing makeup after Making Faces was published. At the time there weren't a lot of outlets for women of colour to learn what colours to use or how to apply things to best flatter our features and he enthusiastically embraced the need and slayed it. I remember being a PA at Paper Magazine and being backstage at the tents at NY fashion week, staring at him like a stalker from across the room, doing up the girls, just in complete awe. Saying all that to say, I know I'm biased in favour of the brand, but that doesn’t change the fact that every product I've tried has never disappointed, this one being no exception. I already have the original candlelight powder and while I love it, this new version just melts into my skin and gives me a lit from within glow with barely a need to blend. The golden apricot colour absolutely flatters my golden undertones, and looks natural on the brown of my skin. Another win for me KAB. this product is my go to for any look. 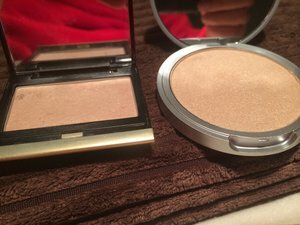 I love how it can give you the lightest glow to even an intense glow...this product works in so many different ways. def. our number one seller at the shop! if you haven't tried it then do it:) youll love it! I gave this product 3 stars due to the fact that I've had it less than 3 months and I am already down to the pan in 1/4 of it. It is a great highlighter. I use it for cheekbones and a dusting on the eyelids. The size is the size of a large eyeshadow. If the product was larger or lasted longer in the pan I would have given it 4 or 5 stars. But it's just a bit too pricey for for the amount you get and the # of applications you get out of it. Love it! Found a highlighter that will show up on my skintone. Normally highlighter products end up fading throughout the day, but this one lasted all day. It's a must! !